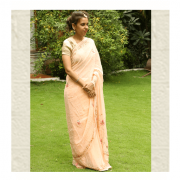 This saree is a hand dyed peach pale pure georgette saree with delicate work of pink thread hand embroidery, silver sequence and transparent glass beads. 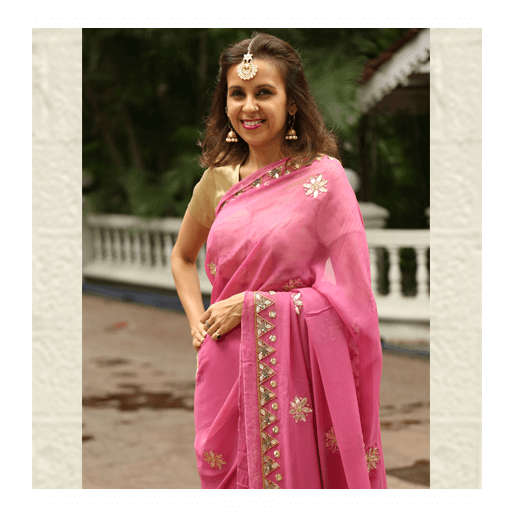 This saree is all over hand embroidered. 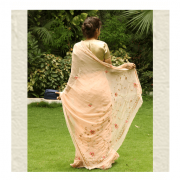 Composition- Pure georgette fabric, pink threads, silver sequence, transparent glass beads, golden raw silk fabric (blouse fabric).